Today's Fashion Friday post is a collaboration with my sweet daughter Charmingly CJ. 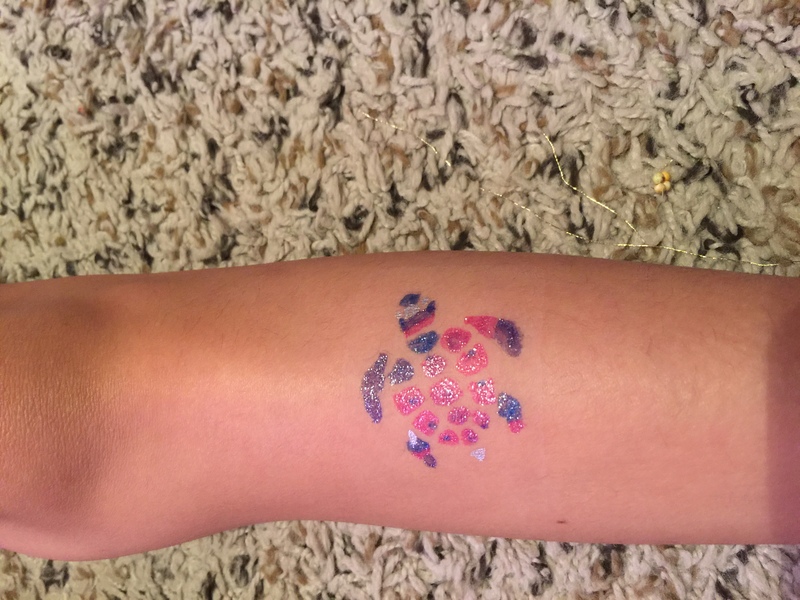 We received the Body Art Glitter Tattoo Set (thanks to US Family Guide & SMit Co) for us to review. Make sure to check out her video on YouTube where she does an unboxing and creates a glitter tattoo, temporary tatoo that is. Let's jump right on in to the review. Charmingly CJ tried the sea turtle and dolphin stencils. It has an adhesive backing, so it sticks well to the skin. She was able to color in the stencil without any help. The glitter shows up well on the skin. 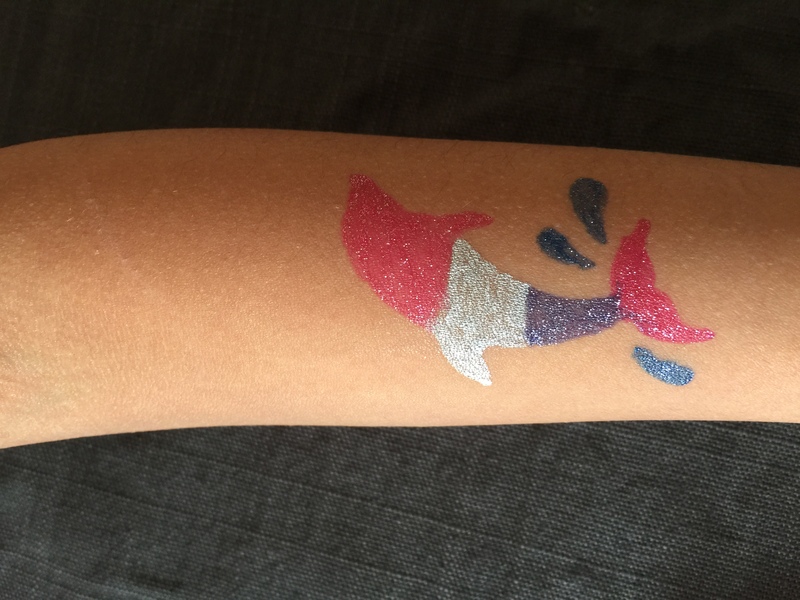 You do have to let it dry a few minutes after coloring the glitter tattoo on. But once it is dry, it will a few days beforeing washing/fading away. This is a fun product and would make a gret gift as well. It's fun for kids, tweens, even teenagers would like this cute glitter tattoo set. Please give her a thumbs up and subscribe to her channel. Thanks!